Polish food and drink brands stepped up product innovation throughout 2016 to meet evolving consumer demands and to gain a competitive edge. Beyond convenience, provenance and indulgence, health and wellness continues to have a powerful impact on new product development which resonates with a sizeable proportion of Poles who wish to improve their eating habits. Here, Honorata Jarocka, Food and Drink Analyst at Mintel, identifies ten inspiring food and drink products launched in Poland last year, and explores their unique selling points. Enjoy Pure Smoothie with Chlorella, Mango, Lemon, Banana & Apple (Purella Food)Poland’s Purella Food is deeply engaged in popularising chlorella as a nutrient-dense green food. The key claims used on the company’s products revolve around chlorella’s detoxifying, energy boosting and immunity enhancing properties. In 2016, Purella Food’s chlorella-enriched product line-up was expanded with drinkable snacks - Enjoy Pure Smoothies. There are three varieties available: mango, lemon, banana and apple; kale, apple, spinach, banana, lemon and mint; and beetroot, apple, cherry, mango, chokeberry and lemon. Each variety contains chlorella, is 100% natural and made with NFC (Not from Concentrate) juices with no added sugar. 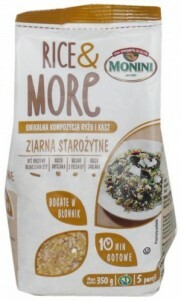 Monini Rice & More Ancient Grains Mix (Monini)The Monini Rice & More range consists of four rice-based mixes containing bulgur, quinoa, Inca grains (quinoa, amaranth and lupine bulgur) and ancient grains (buckwheat, wheat bulgur, millet and wholegrain oat flakes). The products claim to be rich in fibre and protein and are convenient in terms of preparation time, cooking in just 10 minutes. This new launch is expected to appeal to experimental consumers who are also willing to follow healthier lifestyles. Mintel research reveals that one in five Poles find blends of rice and ancient grains interesting, and consider such products to be a healthier alternative to plain rice. 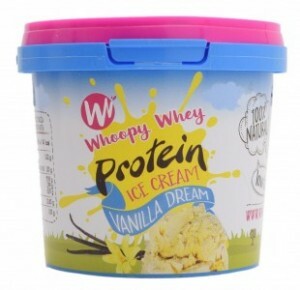 Whoopy Whey Protein Ice Cream (Protein Courtyard)The first high-protein ice cream brand in Poland, Whoopy Whey was launched in 2016 by Protein Courtyard. The new ice creams are enriched with whey protein isolate and contain 21g of protein per 100g. Moreover, the Whoopy Whey range is 100% natural and low in fat, as well as free from gluten and added sugars. Tapping into the demand for non-artificial alternatives to white sugar, the products are sweetened with xylitol. There are three flavours available: chocolate, strawberry and vanilla. There is considerable development potential as more than half of consumers would be interested in buying high-protein ice creams. 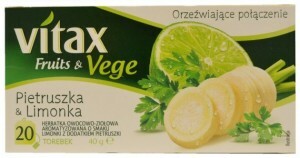 Vitax Fruits & Vege (Tata Global Beverages)To bring more varietal choice to the tea category in Poland, three vegetable-themed varieties were added to the Vitax range: ‘a refreshing mix’ of parsley & lime; ‘a love mix’ of beetroot, strawberry & lovage; and ‘a warming mix’ of carrot, raspberry & ginger. These new veggie teas have significant growth potential by providing adventurous consumers with unique flavour combos. Moreover, they can be seen as new drinkable snack options which beyond taste also deliver on health. Virtu Kubek na Raz Dumplings (Virtu)In 2016, Virtu launched traditional Polish pierogi (dumplings) in a convenient plastic tub. The range called ‘Kubek na Raz’ (a single-serve pot) spans three varieties: Russian dumplings with potato and cottage cheese stuffing, dumplings with meat, and dumplings with broccoli. The new packaging type is not only easy to transport but also microwaveable. Moreover, the dumplings can be consumed straight from the pot which adds much needed convenience for weekday meals, including out-of-home occasions. The new launch serves as a good illustration of Mintel’s 2017 Food and Drink Trend, Time is of the Essence. Wawel Milkizz (Wawel)Poland’s Wawel launched Milkizz, a milk chocolate tablet filled with sweet condensed milk. Delivering a very sugary and creamy taste, this new product is primarily targeted at Generation Z and younger Millennials. Moreover, it plays with themes of joy and friendship with the hashtag #MilkizzTime used across social media to spark consumer interaction. By experimenting with a flavour associated with a popular treat from the past, Wawel also makes an effort to connect with older Millennials who used to eat sweet condensed milk straight from the tube in their childhood, particularly in the 1990s. Of note is that more than four in five Poles find flavours which remind them of their past appealing. Bakoma Bio Yogurt (Bakoma)Embracing purity and simplicity appears to be a long-term tactic aimed at winning consumer loyalty and trust. 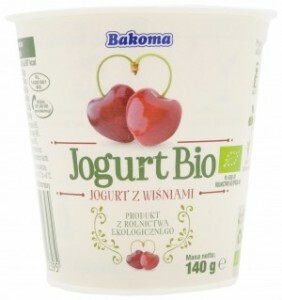 In 2016, Bakoma launched its clean label Bakoma Bio yogurts which are certified organic and exploit the ‘only a few ingredients’ positioning. They are formulated with organic milk, fruit and cream, and are rich in probiotics. What’s more, they are sweetened with cane sugar instead of white sugar. The range encompasses five varieties: with strawberries, cherries, blueberries, apricots and forest fruit. 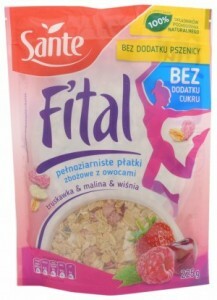 Sante Fital (Sante)To connect with health-conscious women and to address the need for cleaner and simpler labels, last year Sante launched its new breakfast cereal brand Fital. There are two varieties in the range, one with strawberries, raspberries and cherries, and the other with cranberries, blueberries and goji berries. The Fital recipe includes only wholegrain cereals and natural flavourings, as well as freeze-dried fruit and fruit juice, both of which provide sweetness and validate the use of the ‘no added sugar’ descriptor. The products also feature ‘100% natural’ and ‘wholegrain’ front-of-pack claims. In addition, they claim to contain no salt, are low in fat and provide a rich source of iron, phosphorus and zinc. However, what truly differentiates this new launch from other health and wellness positioned breakfast cereals in Poland, is the ‘wheat-free’ label, as both Fital varieties are formulated with barley and rice. 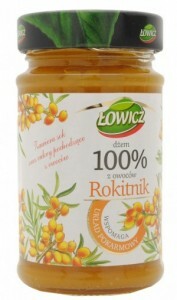 Łowicz Sea Buckthorn Jam (Agros Nova/Maspex Group)The Łowicz jam range was expanded with three health-positioned varieties which deliver functional benefits and are based on superfoods such as rosehip, elderberry and sea buckthorn. These new products are sweetened with fruit and apple juice. The rosehip variety claims to boost immunity, the elderberry variety is said to enhance body defence mechanisms, whilst the sea buckthorn variety is believed to aid digestion. With their rich functional characteristics, the new Łowicz spreads are recommended to be consumed daily as part of the morning meal. Frosta Vegetarian Burgers (Frosta)The appeal of plant-based diets continues to grow, with more consumers making concerted efforts to eat more ‘greens’. Mintel research indicates that a third of Polish consumers are actively reducing their consumption of, or avoiding, red meat. As a result, interest in alternative proteins is increasing which propels innovation activity. 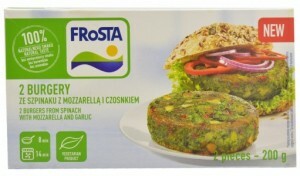 For example, Frosta broadened its frozen portfolio with two vegetarian burgers, one with spinach, mozzarella and garlic and the other with broccoli, cauliflower and parsley. These new burgers are free from artificial additives such as flavour enhancers, colourants and aromas.